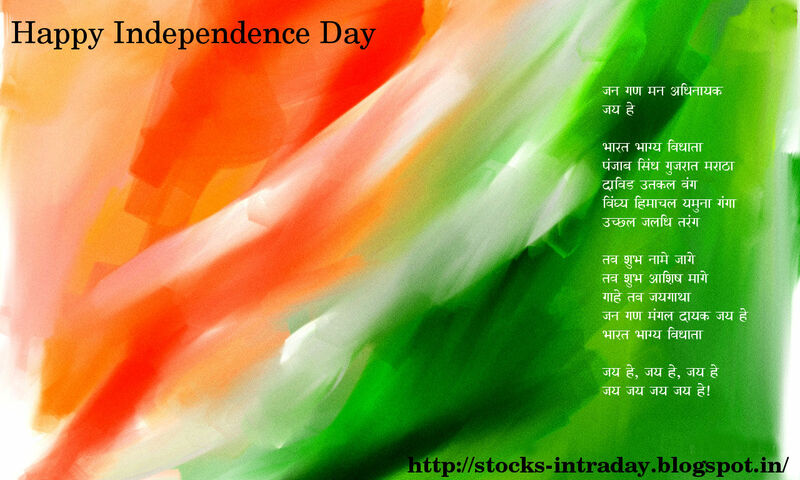 Intraday stock market trend :- Before the independence day,stock market bounced back over 150 points in trade today led by buying in banking stocks after government data showed inflation fell in July.Movement in banking stock today is more a knee jerk rather than anything else.Nifty stock market closed near 5-month high surpassing barrier of 5350 mark and setting positive undertone for the market in the near term.For 16 august it has positive sentiments. Stock tips for 16 august :- BUY Wire & Wireless (India) Ltd. Intraday Target 21.8 Stop Loss 20.4.